The death and life of a bookstore. In my dream, I find myself outside Khan Market’s The Book Shop. I was told it had shut down in 2006 and that there’s a Swarovski show room in its place. 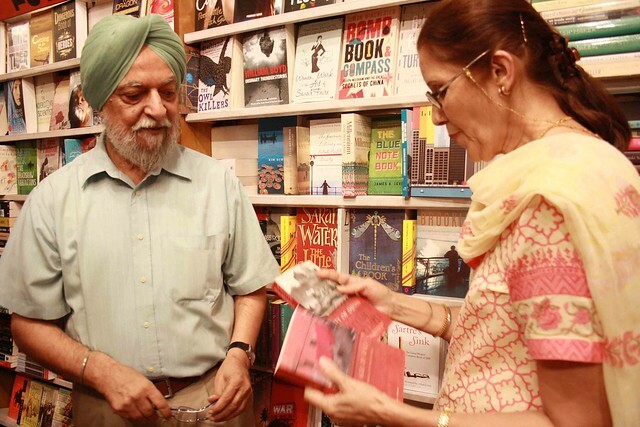 Here’s the glass door, the racks, the new arrivals, the poetry shelf, the history section, and in the cubicle – the turbaned Mr Kanwarjit Singh Dhingra, aka KD Singh – a bookseller for 38 years. And here’s one of his pretty daughters carrying a cup of cold coffee. Suddenly, the ground opens up. The books falls into the void. KD, too. A whipping wind. A blinding light. The dream ends. I’m in a Swarovski showroom! They were right. 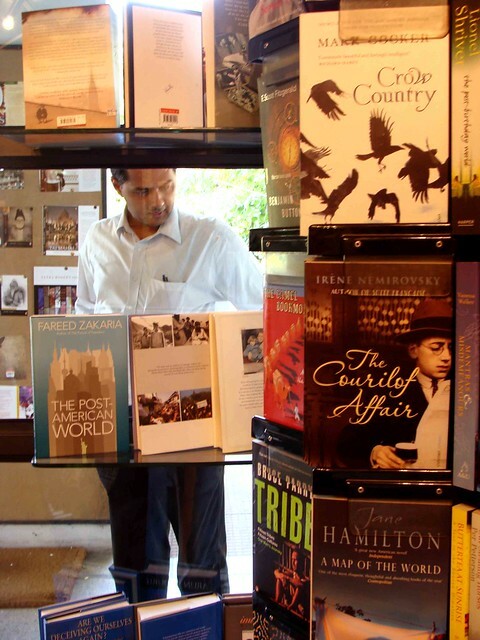 Khan Market’s The Book Shop is history. I walk up Subramaniam Bharti Marg, through Lodhi Garden, across the Lodhi Road, into Jorbagh Market. Next to Steakhouse, where there’s a small crowd, stands an establishment where there’s no crowd. What’s this? Could it be…? It certainly looks like it…. Here are the racks, the new arrivals and in the cubicle – KD and wife Nini. This Jor Bagh bookstore, called The Book Shop, circa 1970, was the first of KD’s many bookstores. But the shop at Khan Market, his fifth, was more original than the original. 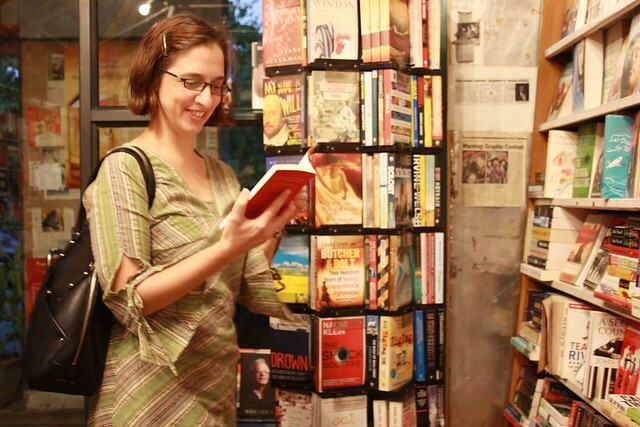 During the hey days of Khan Market booksellers, people would head there for books, not shoes and sandwiches. Those who wanted tomes on current affairs patronised Bahrisons. Coffee table book lovers would spend hours in Timeless Art Book Studio. Genesis was for children. Full Circle tempted those seeking self-help and a cup of coffee. Bargain hunters hung out in Fakirchand. 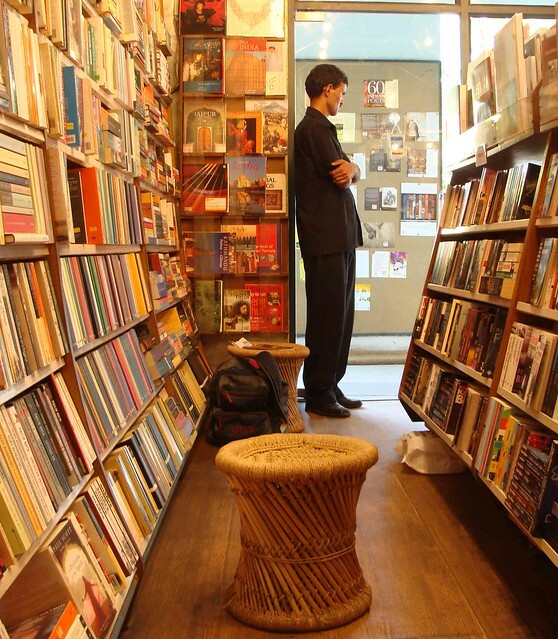 For literary fiction, the address was The Book Shop. Since 1982. There used to be a joke among Delhi journos that if you wanted to interview so-and-so, hang around at The Book Shop and you would get that guy. True. All the so-and-sos’ came here – Shashi Tharoor, Manju Kapur, Bulbul Sharma, William Dalrymple, VS Naipaul, Jan Morris and Salman Rushdie. Gabriel Garcia Marquez spent an afternoon here. 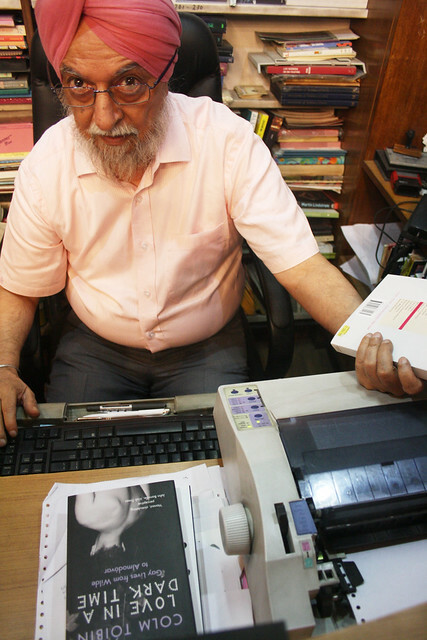 Khushwant Singh once wrote he would park his car in front of the Bahrisons and shop at The Book Shop. The Peruvian ambassador of the time would come to get LPs of western classical music (KD sell that, too). 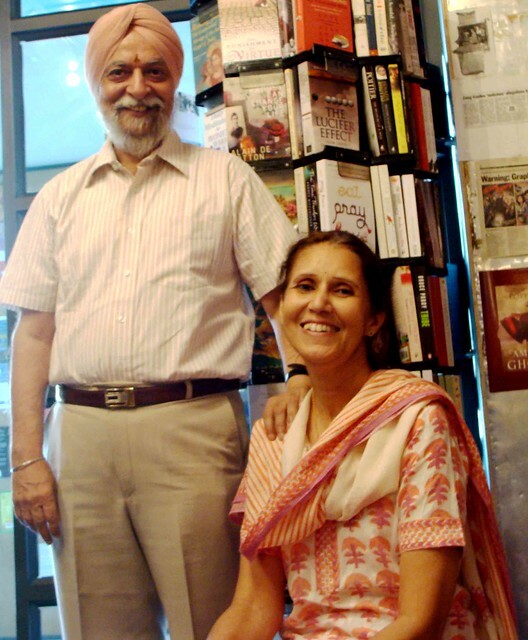 When Arundhati Roy’s The God of Small Things came out in 1997, the only place in Delhi to find the novel during the first two months was at The Book Shop. The sun shone for 24 years even as the monthly rent of the 480 sq feet of retail space spiralled. While KD paid Rs 20,000, the landlord, old friend Maneka Gandhi, expected more. Things fell apart. KD left Khan Market and returned to Jor Bagh where wife Nini was holding fort. The owner has become a city institution. Not many know that it was KD who started the legendary Bookworm in Connaught Place (the spiral staircase there was his idea). KD also ran a bookstore at the Manor hotel in Friends Colony, besides opening a bookshop in Calcutta. They all closed down. “Our Jor Bagh establishment survived,” says Nini. However, if rentals at Jor Bagh go up, KD might have to close this shop, too. He’s not worried. You, too, don’t worry if you see more crowd at the next-door Steakhouse. KD has a partnership there. He will make his money. Nearing 70, the man is still busy. He never has lunch. Only at 7.30 pm, when he has finalised the next day’s orders and made sure there are no customers hanging around, does he turn off the lights and go home to a well-deserved meal. Oh this article made me so nostalgic! Funny story – and true – when I was in Junior Modern School, Humayun Road, my lab Pluto used to walk my brother & me to school. (We lived in Rabindra Nagar, next to Khan… um this is like 1989-92).. and on the way home, Pluto used to stay on in Khan… he spent the whole day there, getting bones from the meat vala at the back (no more there) and hanging in Mr Kalra’s cycle shop (the one fan in the shop used to be turned towards Pluto…. its the one near the small Big Chill) and of course, The Book Shop being the only shop with an AC was Plutos fav haunt! Hahaha. Old school Delhi.. when Khan Market had soul. Its hard keeping up now! Maybe because it’s Khan Market – and I am not sure but I think that’s the reason – I never ended up going here. My preferred haunt was always the downmarket Galgotia in CP.